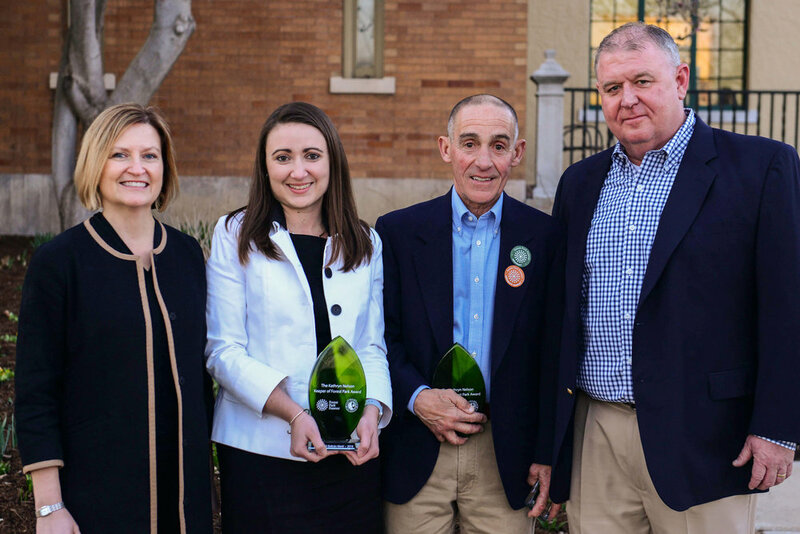 Each year, Forest Park Forever and the City of St. Louis bestow the Kathryn Nelson Keeper of Forest Park Award on outstanding individuals who demonstrate considerable energy and creativity for the benefit of Forest Park. This year's awardees were Tom DeBenedetti, Ali Hogan & SiSi Beltrán Martí. 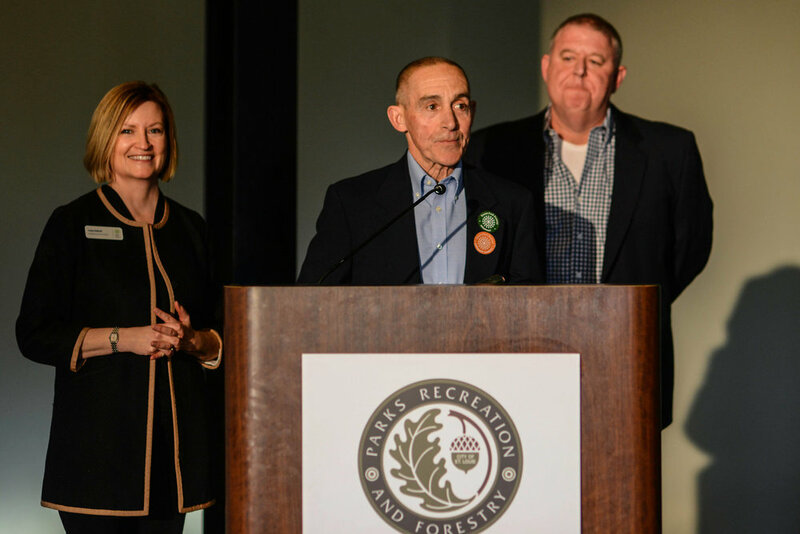 Forest Park Forever President and Executive Director Lesley Hoffarth and Director of Parks, Recreation & Forestry Greg Hayes were proud to honor these deserving individuals during Under the Clock Tower: State of Forest Park Community Gathering on March 14. Tom DeBenedetti is a dedicated volunteer, active Park user and strong supporter of Forest Park Forever’s mission. Tom started volunteering in 2015 when he retired from his full-time career as a physical therapist. In 2016 and 2017, Tom volunteered an average of three times a week – two days with the Nature Reserve team and one day in the Art Hill Zone. Since starting his volunteer efforts, Tom has contributed 775 hours of service to the Park. In 2012, Ali and SiSi approached Forest Park Forever about starting a Young Friends group. 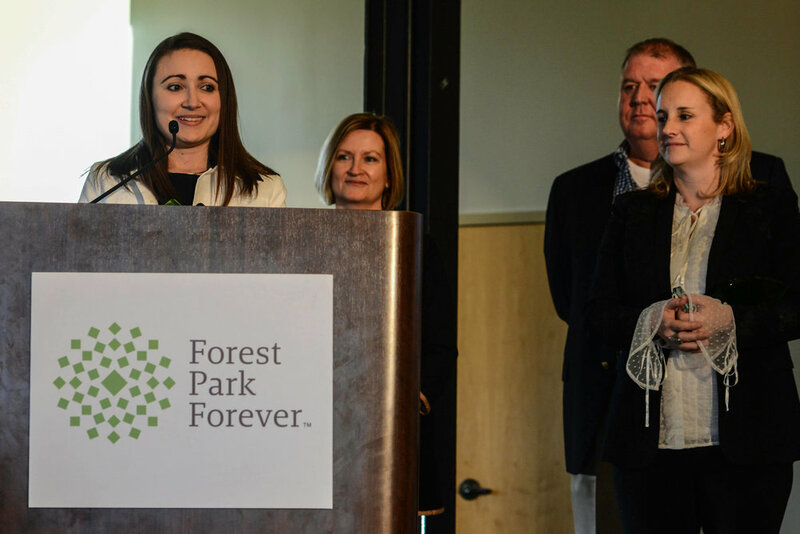 As an organization, Forest Park Forever was eager to have an opportunity to engage the next generation of donors and stewards, so the team was thrilled to work with them to make this into a reality. Thanks to the leadership of Ali and SiSi, the Young Friends of Forest Park Forever is thriving with more than 150 current members and 12 board members leading the initiative. This engaged group hosts events like an annual Trivia Night, happy hours and a golf tournament. And since its founding in 2012, the Young Friends have raised more than $170,000 for Forest Park. Congratulations to this year's deserving awardees! Forest Park is truly a better place thanks to their dedication. To see a full list of past winners, click here.